Our small band of TF1700 ites (small but, as the saying goes, beautifully formed) decided some time ago that we would meet up at CHIRK CASTLE for our 2015 D.I.D extravaganza; and so it was that the Jarretts arrived from Wales, the Lees from Shropshire and the Kennedys from Worcestershire and met in the car park of the Castle. 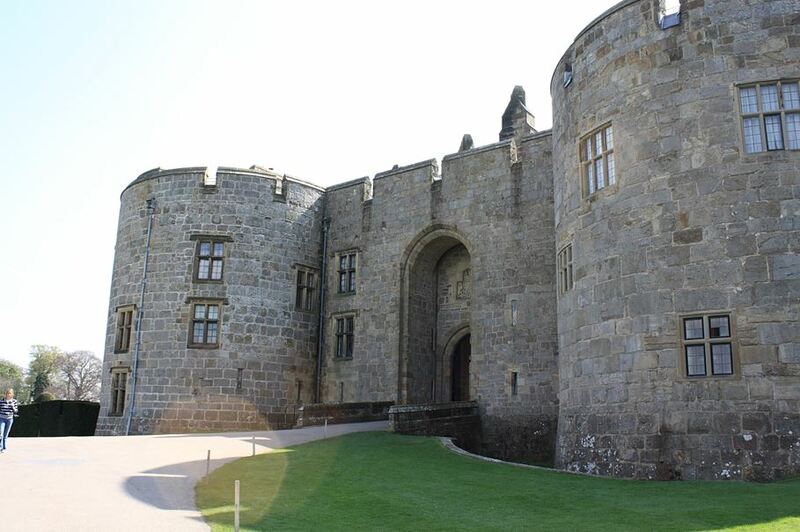 Chirk Castle, has been occupied virtually continuously as a castle and stately home for almost 700 years and it sits on a hilltop with its best views over the Ceiriog valley to the south and the Cheshire plain to the north. The weather forecast had been none too promising with rain threatened and cooler temperatures but, as it turned out, we were blessed with wall to wall sunshine and a cool wind. Having started with the obligatory coffee and natter we were joined by Mike and Pat Prosser from Worcestershire who, by the time you read this, will be the proud owners of Stan Mellor’s beautiful red car appropriately named “Scarlett O’Hara”. After much good banter we decided to go up to the Castle and seek a place for lunch (what else? 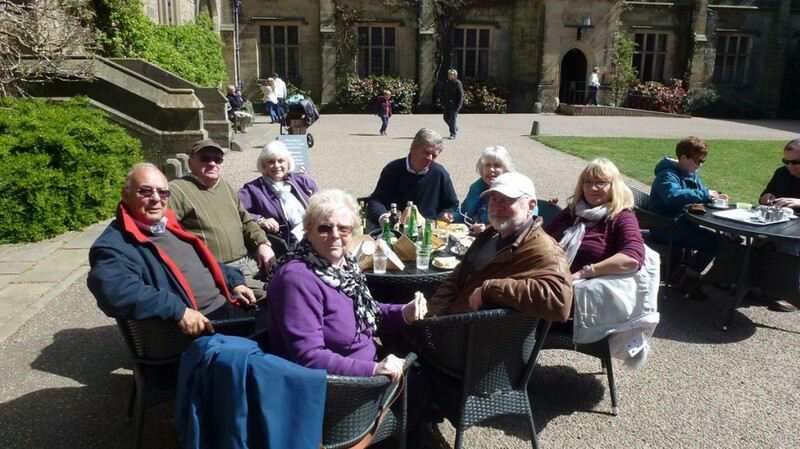 – this IS the Naylor Car Club) and where we commandeered a table for eight in the by now warm sunshine and swapped tales of past Naylor exploits. Clearly Mike and Pat seemed to be enjoying all this and we shall all be pleased when they are suitably “fitted up” with their car so we have already arranged to meet with them at one or two local venues and beauty spots. Watch this space – we are not a separate team; we are part of the Naylor Car Club!